are the only remaining species able to disperse the large seeds of forest trees. The Pohutukawa, (Metrosideros excelsa), is known as the New Zealand Christmas tree, as it flares into crimson display from late October until end November and into the Christmas holiday season. 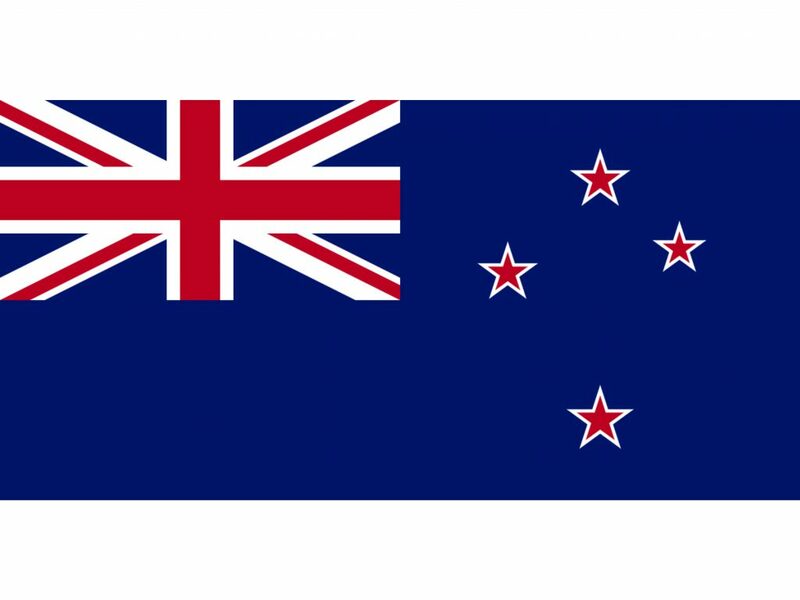 The silver fern – prehistoric vegetation from the time of Gondwanaland – is the national symbol. Waipoua Forest Trust is a bicultural partnership between conservationists and Te Iwi O Te Roroa whose vision is to protect, restore, interpret and promote the internationally significant natural heritage at Waipoua. Waipoua Forest in Northland is New Zealand’s largest sub-tropical rainforest; a unique environment with giant trees up to 3,000 years old at the centre of its ecology; an environment rich in biodiversity in which endangered species flourish. If you volunteer to help us on a working holiday, you will be contributing to a history of conservation going back to 1952. New Zealand has 14 national parks. The first national park was created in 1887 (Tongariro National Park). The largest park is Fiordland National Park. Hikurangi Marine Reserve, the largest marine reserve adjoining the mainland, was recently opened near Kaikoura. FYI: The Māori name for the silver fern that appears on the All Blacks jersey is the Ponga, aka Cyathea dealbata. Conservation Week gives you the opportunity to celebrate the natural environment and make a connection with your local special places. There are heaps of special places in New Zealand that you can visit all year round with your family and friends. 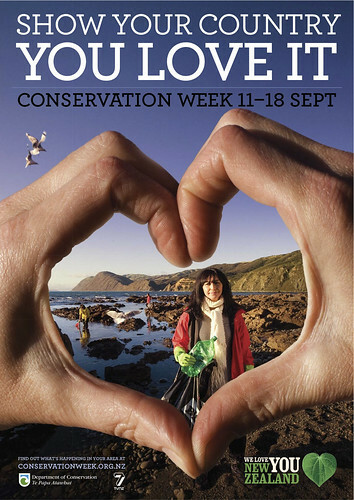 Find Conservation Week posters to print at home, or for commercial printers. Both English and Te reo Māori versions are available in a range of sizes. 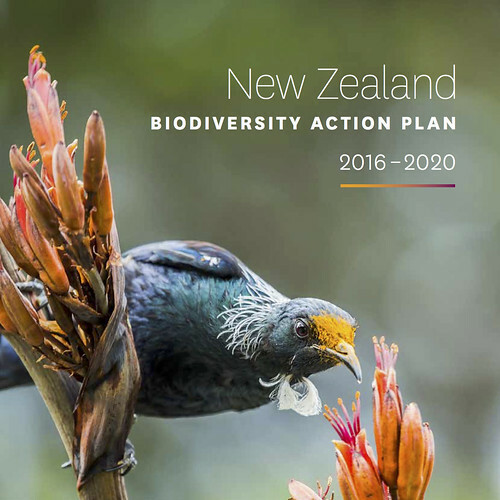 The 2016-2020 Action Plan showcases some of the significant national actions being undertaken through the combined efforts of central and local government, whānau, hapū, iwi, resource managers, communities, private landowners and businesses. Our Waters in Common is a movie exploring the state of our Tasman environment. The film examines the amazing things that rivers provide us, the issues they face, and how communities and agencies are working together to improve them. With such a wonderful community in Tasman looking after our rivers, it is hard not to be encouraged. While you are bound to learn lots, the film presents the information in a very engaging and easily-understood way. Project Whenua is a brand new environmental science series for Māori Television. Journeys in National Parks – Peter Hayden travels through some of New Zealand’s most varied, awe-inspiring and spiritual environments. Though there is superbly filmed flora and fauna, geology and other standard natural history documentary staples, it is the history of people’s relationship with these sublime landscapes and a genial New Zealand passion for the environment, that makes a lasting impression. A new future for marine protected areas – Environment Minister Nick Smith is championing new legislation for marine protected areas, and Raewyn Peart from the Environmental Defence Society has some thoughts on its strengths and weaknesses. Critter Of The Week – Nicola Toki – Our Critter Of The Week, isn’t a critter at all. It’s the Parapara tree, also known as the bird-catching tree. It catches insects, birds, and even more birds who come in to catch the little birds caught in it. It’s like Roald Dahl’s The Twits! Northland’s Forest Collapse – Forest and Bird’s Northland advocate Dean Baigent-Mercer this week released drone-footage shot above Northland’s Whangaroa, Russell and Otangaroa forests and tells RNZ’s Jeremy Rose the forests are on the point of collapse. Then Northland Regional Council Bio-Security manager Don McKenzie, Northland Conservation Board chair Mita Harris, Reconnecting Northland’s David Mules, and DoC Conservation Partnerships Manager for the Far North Carolyn Smith respond. Restoring the Dawn Chorus at Windy Hill Sanctuary – From small beginnings in 1999, a consortium of private land-owners in southern Great Barrier Island is making a big ecological impact on their land. Island lifeboats for New Zealand’s birds and reptiles – When humans first set foot in New Zealand almost a thousand years ago, they encountered a rich fauna of reptiles and flightless birds. 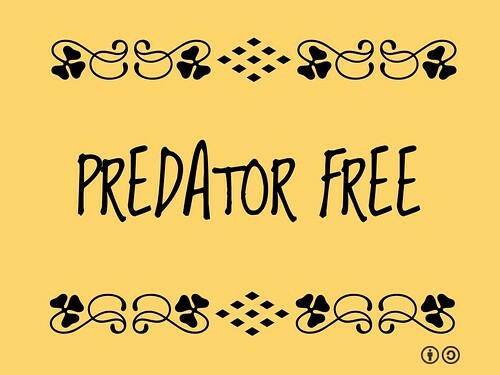 These first human visitors, and visitors and settlers since brought with them rats, cats, mice, rabbits and stoats which feasted on the local fauna, or degraded the environment, driving many original species to extinction. But luckily, a few small offshore islands remain undisturbed. Now scientists are using these islands as ecological lifeboats, as a source supplying birds and reptiles back to the mainland. Matthew Crawford reports for The Science Show. Wetlands in around Hamilton are under threat with more than 3000 dairy farms having a significant impact on water quality according to the latest State of the Environment report. A Life Worth Having – In November 2014, a forum called A Place to Live : for the life worth having in Whanganui focussed on the link between economic and environmental health in New Zealand, in particular in the regions and smaller centres. The distinctive vomit-like smell of ripe fruit from a Ginkgo tree is enough to put most people off harvesting it. But each Autumn, members of the Asian community can be seen shaking the leaves of trees, particularly around Tauranga, to encourage the Ginkgo bilba fruit to fall to the ground. The fruit is highly prized for its medicinal purposes and the nuts inside are considered an important food delicacy in Japan, Taiwan and other parts of South-East Asia. Nga Uruoara – As tribute to the noted New Zealand botanist and eco-historian Geoff Park who died in 2009, Radio New Zealand National is featuring his 6-part radio series Paralleling his 1995 book Nga Uruora – The Groves of Life Ecology and History in a New Zealand Landscape. A research programme at the University of Otago is forcing a re-think about the impact of early Maori on our fauna, especially coastal species. Alison Ballance is at Dunedin’s Sandfly Bay with zoologist Jon Waters and PhD student Catherine Collins. It seems prehistoric Otago was home to different kinds of penguins and sea lions from those present now. Our Big Blue Backyard – New Zealand’s marine reserves – Our Big Blue Backyard is the title of the latest book from Taranaki-based natural history writer, academic and graphic designer, Janet Hunt. Her latest focus – Our Big Blue Backyard, is about the 38 marine reserves around the country, and what is needed to protect and preserve New Zealand’s seas and foreshores. Te Urewera National Park is the largest single block of native forest in New Zealand’s north island. Established in 1954 the park covers 212,600 hectares and contains more than 650 different native plant species. This is the fourth largest national park in New Zealand, and the largest in the North Island, covering 212,673 hectares. Te Urewera National Park lies between the Bay of Plenty and Hawke’s Bay in the North Island. The nearest towns are Whakatane, Murupara and Wairoa. Established in 1887, Tongariro was the first national park in New Zealand and the fourth in the world. It is also a dual World Heritage area, a status which recognizes the park’s important Maori cultural and spiritual associations as well as its outstanding volcanic features. Before human influence, New Zealand’s only land mammals were two species of bats. Small populations of both these species remain in Puketi and require protection. Penguins: Yellow Eyed Penguins (Hoiho) are native New Zealand penguins that can be found on the coast of Dunedin in Otago Peninsula. Paphies ventricosa, or toheroa in the Māori language, is a large bivalve mollusc of the family Mesodesmatidae, endemic to New Zealand. Paua or pāua is the Māori name given to three species of large edible sea snails, marine gastropod molluscs which belong to the family Haliotidae (there is only genus Haliotis), known in the USA as abalone. Fauna of New Zealand Series – online access to contributions describing New Zealand’s unique land fauna. Flora of New Zealand Series – online access to the Flora series describing New Zealand’s unique flora. The role of the New Zealand Conservation Authority Te Pou Atawhai Taiao O Aotearoa is to advise the Minister of Conservation and the Director-General of Conservation. It is closely involved in conservation planning and policy development affecting the management of public conservation areas administered by the Department of Conservation as it approves the statutory strategies and plans which set objectives for their management. serviced by the Department of Conservation. a member of the the New Zealand Committee of the International Union for Conservation of Nature (IUCN). Last year New Zealand honoured the United Nations Year of Biodiversity with the revelation that we are among the world’s worst biodiversity losers We have 2788 species listed as threatened with extinction. Worse still is the reality that if more funding were available for further investigation, the species now classified as “data limited” would likely be listed as threatened and double the number on that list. The historical reasons for this biodiversity tragedy are unmistakable. We drained 90 per cent of our wetlands, removed over 70 percent of our native forests and dammed, straightened, stop-banked and engineered most rivers.